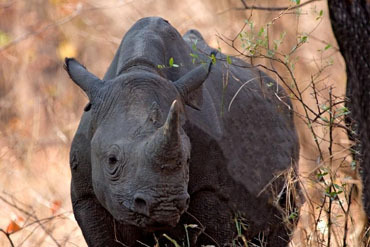 The Matobo National Park contains one of four rhino Intensive Protection Zones (IPZs) in Zimbabwe. Verity Bowman, DWT's director, works closely with National Parks staff and government vets to conduct rhino management operations such as individual marking of rhinos for identification, placing of tracking devices in horns to facilitate detection of poachers and moving of individuals between IPZs for genetic and population management. These operations are complex and require a light airplane to locate animals, a helicopter to carry vets to dart animals, large crates and vehicles for transport and a very large number of people to manage the sedated animals. DWT staff are vital in ensuring the logistics run smoothly! Dr Nicky Pegg, DWTs senior scientist, provides training for the National Parks staff in the Matobo IPZ to improve computer skills, accurate recording of rhino sightings and other information, management and analysis of data to generate useful and accurate reports to enhance their capacity to effectively protect the animals in park.